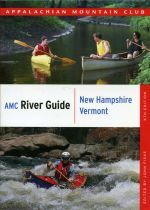 The revised fourth edition of AMC's popular paddling guide to the Twin States. An excellent and useful waterproof map and gude to the scenic Saco River in New Hampshire and Maine. A brand new heavily discounted third edition copy of this popular hiking guide to southern New Hampshire. Covers all the great hiking regions south of the White Mountains, including the Monadnock Region, Cardigan, Kearsarge, and the Lakes Region. 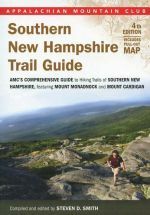 The new updated and revised fourth edition of this great hiking guide to the trails of southern New Hampshire, including those on Mounts Monadnock, Cardigan and Kearsarge. 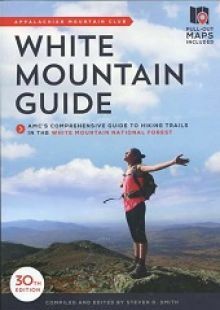 The 29th edition of the Appalachian Mountain Club's venerable hiking guide to the White Mountains. Still the best single resource for area trampers. The new 30th ediiton of the Appalachian Mountain Club's venerable guide to hiking in New Hampshire's White Mountains. A good collectible used copy of the 7th edition (1928 of the venerable AMC White Mountain Guide. Revised water resistant color map and guide to the White Mountain National Forest. A six-map set of waterproof trail maps prepared by the Appalachian Mountain Club and covering the entire White Mountain National Forest. First edition copy of this excellent guide to more than 30 backpacking trips in New England. PRICE REDUCED! 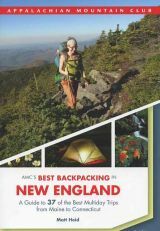 The new second edition of this great guidebook to more than three dozen backpacking adventures in New England. 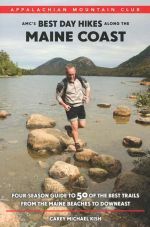 A great new guidebook to dozens of hikes along Maine's scenic coastline, including Acadia Natonal Park and Mount Desert Island. Great new four-season hiking guide to interior Massachusetts--from the Pioneer Valley to the Worcester Hills. 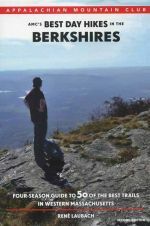 Discover 50 of the most impressive trails in the Berkshires region of Massachusetts in this revised second edition hiking guide from the Appalachian Mountain Club. 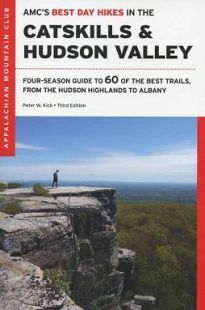 New 3rd Edition of this excellent guide to 60 of the best hikes in New York's Catskill Mountains and Hudson River Valley.